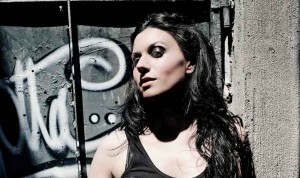 L acuna Coil vocalist Cristina Scabbia has been interviewed by The Daily Rock Post website. In the interview Cristina talks about the inspiration for the new album Delirium, the heavier and darker sound on the album, the lineup changes in the Lacuna Coil, and more. You can read the full interview at The Daily Rock Post website here. SockPuppetParody have interviewed Lacuna Coil’s Cristina Scabbia and Marco Coti-Zelati! Check it out! Check out Lacuna Coil drummer, Ryan Blake-Folden’s play through of ‘House of Shame’, courtesy of Drum Magazine. You can also find out more about the song and what the band have to say about the forthcoming album ‘Delirium’ at the Drum Magazine website here.